A this way experience comes to us, provided by others, impacting us but not being impacted by us. I don’t have to go to a Universal Studios theme park for this kind of experience. By walking into my White Stuff shop I can have coffee and cake on the house and see telephone boxes, a sweet counter, an old metal bench circling a fake tree, and wardrobes which turn out to be very big changing rooms. However, I do not change the company in any way. 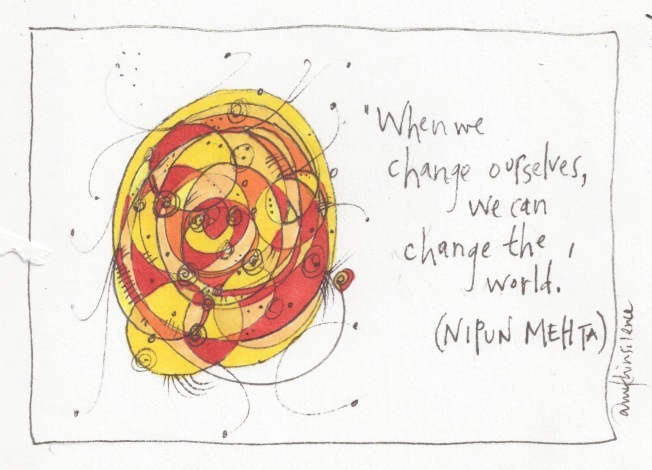 Increasingly, though, we’re living in a that way time: ‘When we change ourselves, we can change the world’ – words I shared yesterday from Nipun Mehta. More and more people are making change in one way or another. There’ll always be those who bemoan the state of how things are, the same way they were bemoaning the same thing a year ago. Unsurprisingly, nothing changes. I give you this but you don’t give back, you give forward – use it to cause disequilibrium somewhere else. Nipun Mehta is turning gifts into more than an economy – into an ecology. One exploration with interns saw them engaging in 21 days of kindness, but it had to be something new every day – their focus and engagement and wiring changed as a result (then they went on to 21 days of gratitude). Give something, consistently, over a long period of time – the thing the interns, mentioned above, did. Take hold of new belief. We’re all part of the Human story and it’s not a story about this is just the way it is. Things have changed in the last seventy million years. To be Human is to be conscious of our story and our ability to change it. I’d only just read Yuval Noah Harari’s conclusion that we just don’t know why women are subservient to men; in his opinion, the traditional arguments just don’t hold up: males are stronger; more aggressive; or, genetically developed to be more ambitious and competitive (who got to impregnate the females). We’ve seen great changes across the last century and will continue to see change as we lean forward into the future – something we can learn to do when we realise it’s our turn to add to the story. We’re becoming (more) Human, as we continue to face our blindspot, turning our attention on our inner selves, to where these things comes from, asking, Why do we want to perpetuate the story of discrimination and inequality, be it against females, ethnicities, genders, societies, when we can write a better story? There’ll always be those who – for political, religious, egoistic, or personal reasons will say, It’s just the way it is, but the future belongs to those who want to bring more people to the party. Earlier this year, I attended an event with this title, curated by my friend Charlotte Bosseaux, within Edinburgh University. It opened up to me a previously unconsidered world of interpreting, translating and dubbing: the power of interpreters and translators in altering the meaning of the original; the deep challenges to honestly wanting to move something from one language with its culture, into another; and the complexity of dubbing film and TV (including how many actors play George Clooney’s voice?). Whose voice is it anyway? becomes a great personal question to ask about the authenticity of our own voice in the world. Is this really my voice? Do I know who I am and what is my voice? Or am I speaking with someone else’s voice? 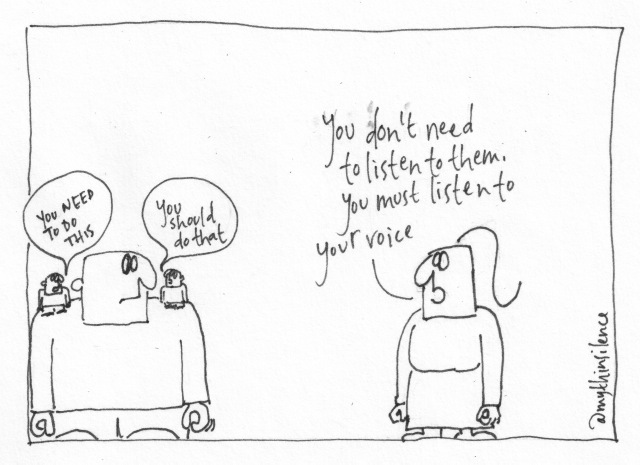 The voice of a parent, a partner, an employer, a child, a friend, a public, a culture, a society? We may have the best intentions for encouraging people to be this or that, whilst a person may feel others must know them better than they know themselves, so they comply, but beauty comes from being who we really are, knowing our voice, and sharing it with the world. No matter how much care those around take ing advising you about how you should “sound” – the feel and intonation and pitch of your voice – the only person who really knows your true voice is you. I asked MC why she wants to develop her work idea, what was the thing driving it – our small group was exploring how to prototype our ideas. A long way back in Human history there was a time when our consciousness developed to the extent that we began to enjoy the beauty of something rather than its usefulness. This matters because it’s tied to seeing the beauty in a Human life, rather than the simple functionality of carbon units. There’s something about the universe which asks us to appreciate beauty: fauna, flora, music, numbers, art, colour, you, me. 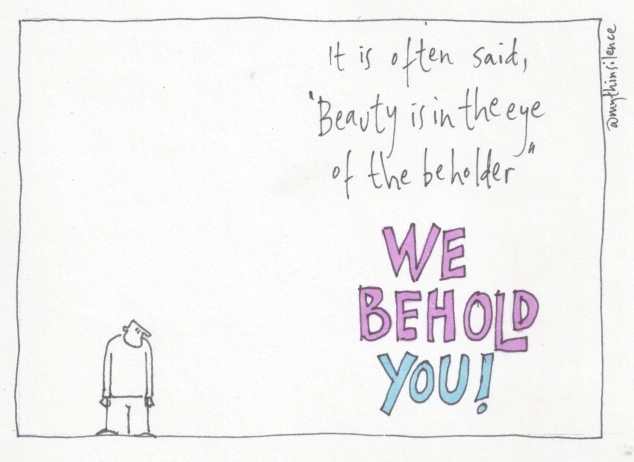 Beauty is so very big, it is very high and wide and deep. It cannot be reduced to just these things on this list. Whenever anyone explores the beauty of their story beyond functionality and usefulness, that can’t be bad. It can be pretty darn good. One more thing: beauty isn’t something we’re born with – it’s a choice we make every day. Gifts make their difference when they begin to flow – the unique contributions everyone can bring as an investment in the world. High-flow environments come in many different forms. One person can choose to be just such an environment to another – provoking by giving their gift. 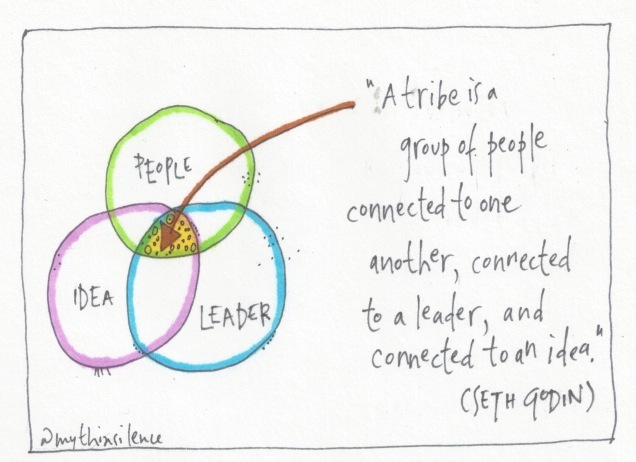 Two or more people can collaborate together in a synthesis of their gifts to others. 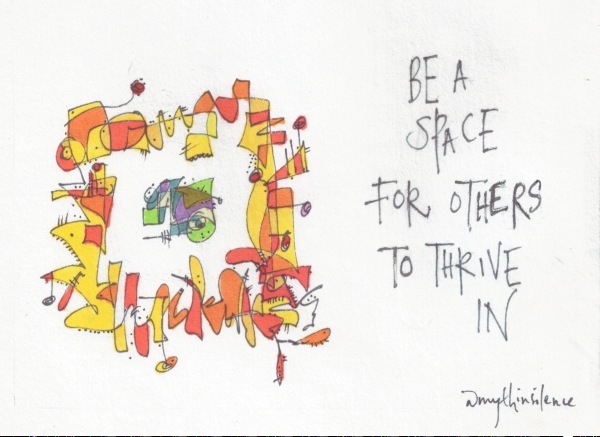 Physical spaces can be designed to encourage gifts to flow. And a community can exist as a result of, and with the purpose of, encouraging the flow of gifts. 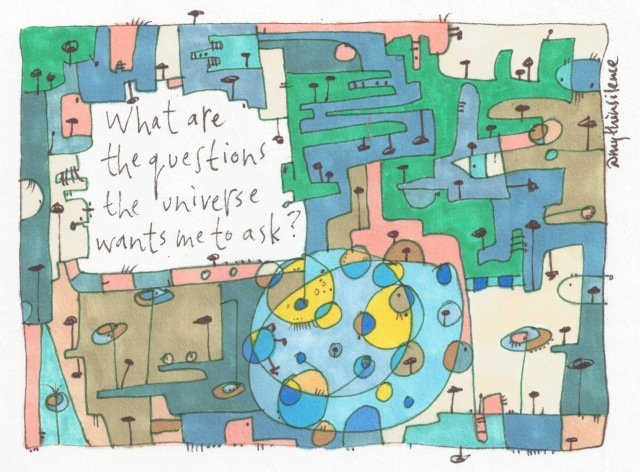 In each case of these the consequences are high – this matters; there’s a richness of complexity present (the more diverse the better), and, there’s encouragement of mind, heart, and will presencing – we not only think and feel something, we do something. Of course, high-flow and high-risk means there’s the risk of failure, but we do pay more attention (including learning how learning from failure is more important than not failing). High flow environments promise to produce communities, with ties stronger than any commodity exchange. I’m with those who hope for a new renaissance – including and inviting people to make their contribution towards a future which will see an increasing flow of knowledge and skills as gifts. 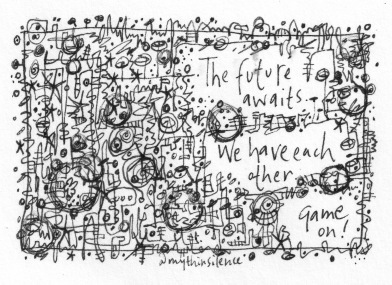 The really exciting things will happen when the barriers come down between communities and organisations, in the creative synthesis and messiness of connectedness, regardless of field, age, gender, ethnicity, sexuality, politics, geography, and a whole lot more. Almost forty years ago, Charles Mellis wrote about how ‘creative new vehicles seldom originate within the establishment – particularly in times of great change’. * If Mellis is right then it makes no sense to be closed to what others know and are willing to share. Find a party, bring your passion and skill – the future awaits.